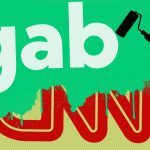 Gab Dissenter – A Global Web Commenting System Is LIVE! Absolutely shocking and disgusting, but not surprising. UK tax dollars being used to slander and smear private citizens in some of the most vile ways possible. Tommy brings us undercover footage of corrupt and racist liberal UK journalists working to destroy the lives of conservatives at tax payer expense. It’s also worth noting that on the same day Facebook and Instagram banned Tommy, Amazon also banned Tommy’s book, Muhammad Koran, why Muslims kill for Islam, from their store. This means you can buy Mein Kampf or Das Kapital on Amazon, but not Tommy’s book.